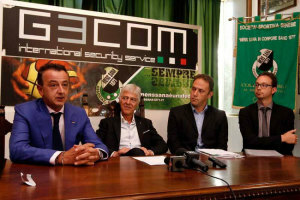 VisMederi is the third sponsor of the Mens Sana Siena 1871 basketball team. The official announcement was held this morning, Thursday, September 11, in the premises of the Historical PalaGiannelli Presidency. Main sponsors will be Gecom SpA with Conad and VisMederi also taking part into the project. “It is an extremely happy day for Mens Sana 1871 – said Piero Ricci, President of Mens Sana 1871 – This is the last piece of the jigsaw that completes our ambitious project for recovery, then everything will be decided on the court. 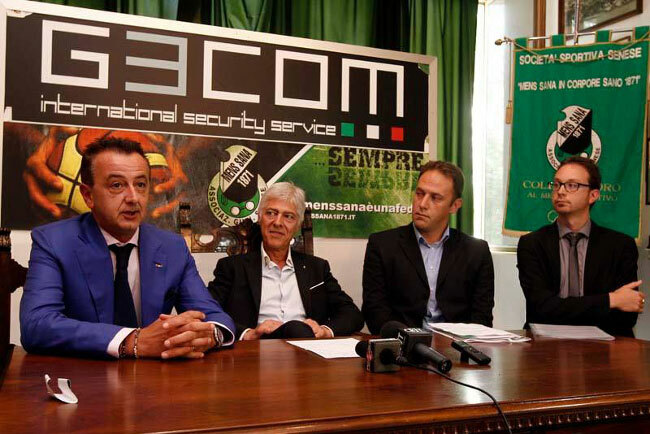 Gecom SpA will be the main sponsor with priority for the following three years, whereas Conad and VisMederi will be with us for the whole 2014/2015 season, supporting the activities of both the first team and of the youth basketball league. Therefore, it seems to me that this is an excellent opportunity to reiterate our thanks to those who believed in our project: our best effort will go into making the most of the confidence that these companies have placed in us”. “Mens Sana – say the founders of VisMederi Srl, Chiara Gentile, Emanuele Montomoli and Simona Piccirella – Is an important piece of the history of this city and this territory. For VisMederi, this is a source of pride and an opportunity to support the project of Polisportiva Mens Sana, because this new path follows all the values that we put into our daily work – passion, commitment and dedication –, without forgetting that the context in which we operate is full of challenges, difficult and fascinating at the same time. VisMederi is a young and very dynamic company, born just five years ago, deeply rooted in the territory, but with a strongly international vision and strategy. Siena hosts our headquarters and laboratories, and it is from here that we daily observe new markets and sectors to be approached, where we set and carry out our analysis, and where we face the global challenges of biomedical research. With this wealth of experience, passion for basketball and the link to our territory, we now support Mens Sana Siena 1871. It seems a worthwhile project, within an already beautiful story that goes on and on”.